The Android OS 5.0 will be hitting a lot less number of devices than the projected, mainly because of the failure of ICS. 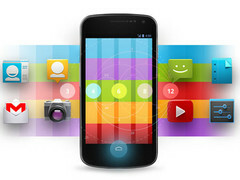 Google has finally decided to take a new approach, after the quantity of flack become painful for the Android 4.0 Ice Cream Sandwich. There were many issues that Google and its vendors dealt with, the key problem being fragmentation. The ICS version of Android was supposed to cover roughly two generations of Smartphones and tablets. The ICS was designed to run on everything running from 1GHz A8 cores, on dual-core A9 chips, to the quad core A9 designs and even the upcoming A15 parts. Coupled with a different graphics core and a host of other standardization issues, development moreover became frustratingly slow. According to a well informed source close to the ARM chip designer, Google has plans to shift the gear with Jelly Bean, by limiting the support for older hardware. This change is definite to speed up the introduction; it will also leave quite a few users out in the cold. Unlike the ICS, Jelly Bean won’t support single A8 or A9 processors and even some 1GHZ dual cores won’t be offered support. A source also claims that the Nexus Galaxy will probably be the slowest device to feature the Jelly Bean and this has not much to do with the hardware but more with Google’s image. Google has yet to finish the ICS rollout for the Nexus S and now it probably wouldn’t even matter with it if it were for bad press. The Galaxy Nexus also faces a similar fate and will hardly be able to get the Jelly Bean version of the Android OS. For now, it is unclear if Honeycomb tablets will get full Jelly Bean support, as it appears that the reference designs are not ideally suited for the upcoming OS. A possible outcome would be a stripped down version, like the Samsung’s Value pack for Galaxy S.
In a couple months’ time, Google is expected to ship the Google tablet along with the ICS and that surely will the first device to receive a Jelly Bean update. Neglecting all the rumors about the Google tablet’s chip, Google has planted a Tegra 3 chip and not the cheaper option of a Qualcomm processor for the Jelly Bean. As a result the tablet is sure to end up with a tag price of $199 rather than the earlier projected $149 to undercut the Amazon Kindle Fire. With all this in mind, going for a cheaper CPU was not surely good enough for the Jelly Bean upgrade. While a conservative approach to the Android updates would surely help speed up the development by cutting off the antiquated devices and imposing all the hardware requirements, it is sure to make quite a few users very cross indeed. Following the ICS regret by Google, only a few devices will get to run the Jelly Bean, those which are the fastest high end devices falling under the $400-$500 range. Other consumers who do not fall into the criteria can surely forget about the Jelly Bean upgrade for their device. So, the only way to fall under the Jelly Bean criteria is to grab hold to a super-phone, which is sure to be pricey and based on the S4 or Tegra 3, or upcoming A15 chips.